Safe Journey. You will be missed. Send us a card when you get to your destination. It’s all about love and joy … deep bows, great gratitude. peaceful crossing. 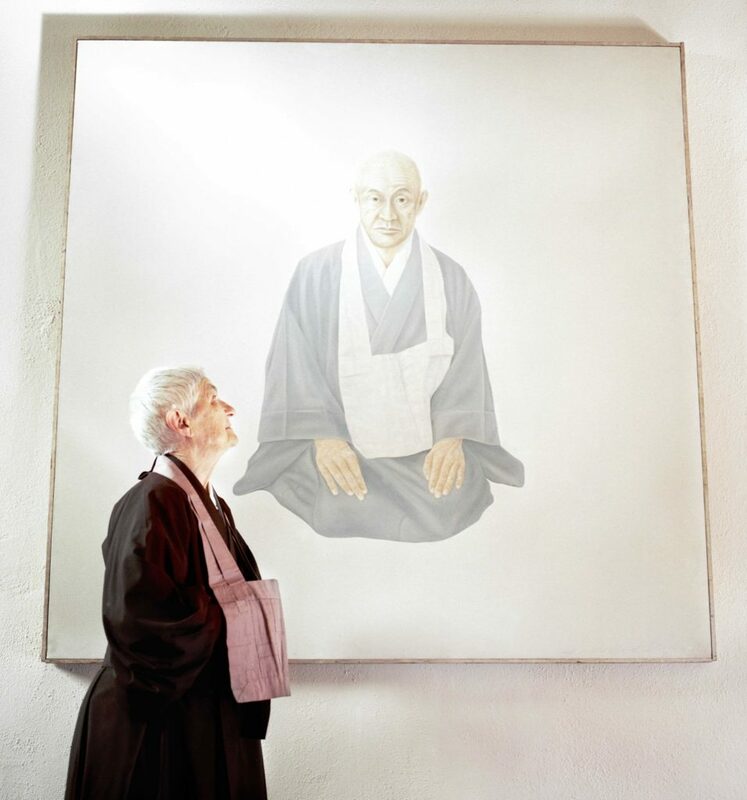 Say hi to Suzuki Roshi for us! Your compassion and steadfastness remain with all of us. Blanche, I wish you a light-filled journey in the great leap. I have tremendous gratitude for your teaching, your wisdom, your boundless compassion. I have always felt a profound gratitude for Blanche, the first teacher I met when I came to study at SFZC in the late 1980s. She was always ‘there’ at City Center, and at Tassajara, and I would see her at Green Gulch too when I went there. It was such a comfort for a new student to have this presence in our midst. I was not young but I was new, and needed this encouragement and wisdom which Blanche showered on all of us. Lou always worked in the kitchen and it was a joy to help him do pots and dishes. Blanche was one of the really important people in my life. We visited in Japan too while I was living and practicing there. She came to Seidoan when I opened that small zendo in Blowing Rock. It was a great experience for us all. There was a nobility about her which earned respect from everyone. It was a sense of pride I felt when I would see articles about her or that she contributed to the Shambhala Sun and other journals. To feel like a friend to this amazing compassionate woman is still a joy to me. She was a real Dogen person! I light incense for her and all the sangha who will sorely miss her presence.